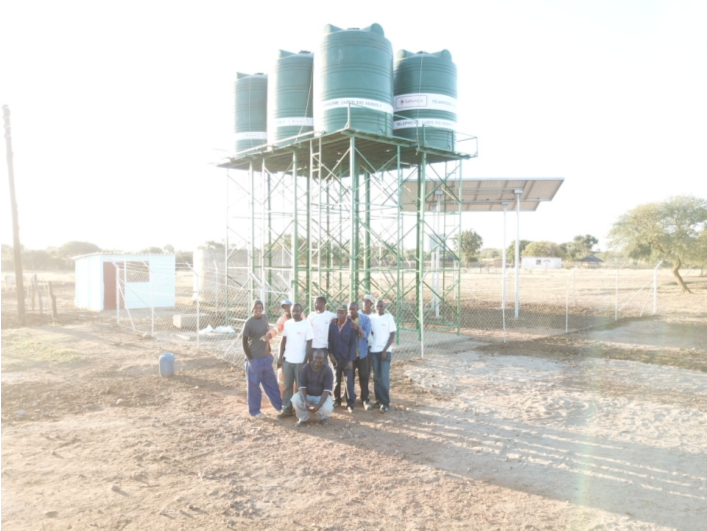 Working in partnership with Oxfam, Samansco was selected as the contractor to install a solar powered water pumping system and water distribution network in the Bubi district of Matebeleland Zimbabwe. 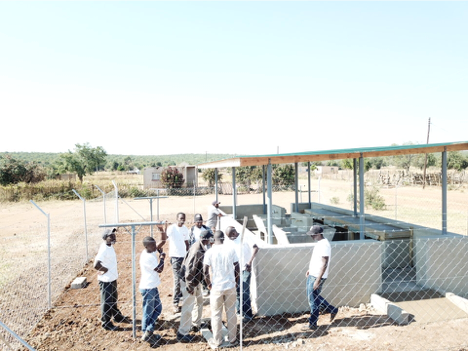 The objective of this water solution was to create access points for clean drinking water, as well as constructing a laundry facility for the community to wash their clothes. This dedicated washing facility is a welcome addition to the community; a safer alternative to river washing and less time consuming. It also serves as a great meeting point for the community to come together and connect with one another. The team stationed 9 10,000L water tanks at various locations throughout the site location. The scheme runs on a sophisticated underground network that draws water from the community borehole. The water is then pumped using 2 Lorentz solar water pumps which provide 60,000L and 30,000L of water per day respectively. A combined 90,000L is distributed to 10 taps at the washing facilities and 4 drinking water taps in the community. For over 35 years, Samansco has been providing solar solutions for communities throughout the African continent. Samansco’s work and presence in Bubi was welcomed by the community wholeheartedly. Samansco Group CEO Nyasha Bamhare commented at the commissioning of this site saying; he believes projects should serve a purpose beyond meeting objectives, they must be long-lasting, impactful and sustainable for future generations.